The theme at the Disney Parks and Resorts this year is “Limited Time Magic” – special appearances of beloved characters, brief returns of old favorites or new experiences only around for a very short time. Now through the end of this weekend (though it has been at Disneyland since January 10th) is the Salute to the Golden Horseshoe! 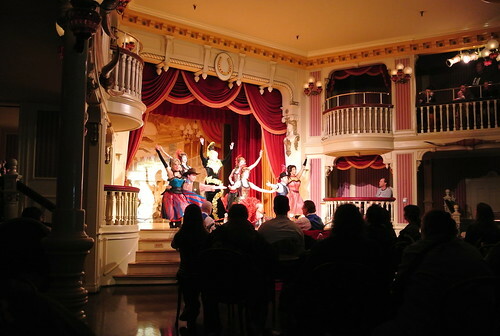 A condensed (but still VERY fun) version of the Golden Horseshoe Revue, which played at Disneyland from park open in 1955 through October 1986. 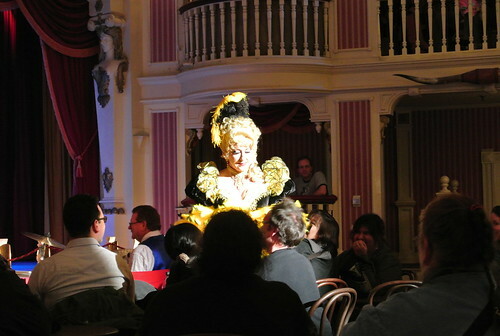 We’re introduced to the saloon owner Miss Lilly, and she and the bartenders and dancers at the saloon put on a great 20 minute show. The saloon girls even do the can can! This is a great little variety show, with lovely ties to Walt and opening-day-Disneyland. Miss Lilly even makes a point to talk about how Walt personally picked out much of the decor. If you’re at the parks this weekend be sure to catch this before it goes away after February 4th!